With views of Guajara Bay and the beautiful Republic Square, the Hilton Belem hotel is located in the city's commercial center and is 10 minutes' walk from Belem attractions. Visit the Theatre of Peace and Emilio Goeldi Museum or visit the bars, restaurants and exhibitions at Doks Station.Try Amazonian cuisine at A Restaurant, sip a cocktail in the poolside Sape Bar or relax with colleagues in Amazon Bar. Work out in the fitness center, swim in the pool or wind down in the sauna at the Hilton Belem hotel.Enjoy city views from the 15th-floor Executive Lounge. Located in the commercial district of Belem and 20 minutes from Val de Cans Airport, the Hilton Belem hotel also has 9 meeting rooms for 5-500 and a business center.From a Hilton Guest Room to a Suite, all rooms have wireless internet access. 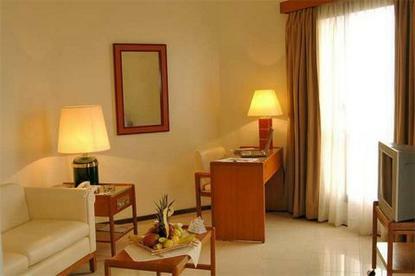 Executive Rooms offer Executive Lounge access.